Costco Wholesale enthusiasts love the discount warehouse for its convenience and remarkable savings. A membership allows you to buy pantry and house goods in bulk for a fraction of the cost by volume that you’d spend in a normal grocery. When it comes to couponing the first rule is always buy the cheaper version of products. They are just as good, if not better, than the more expensive name-brand. But the problem for most shoppers is they have no idea what products fall into this category, and smartly, don’t want to randomly start buying generics just to test them out as it could be a total waste of money. 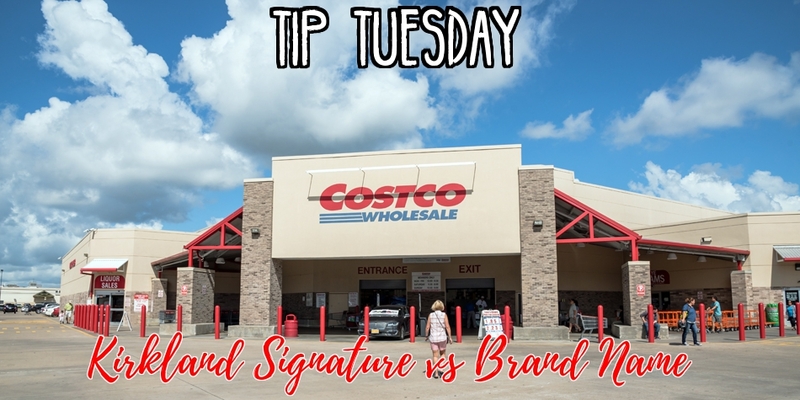 Luckily, Costco has developed a number of items under its Kirkland Signature brand. They work with manufacturers to develop its Kirkland products, which are sometimes reviewed just as highly as premium name-brand rivals. Listed below are the not-so-generic Kirkland offerings most worth their price tags, based on customers’ reviews and reporting online. Note: Prices may differ depending on the location. Kirkland Signature liquors are made in the same warehouse/region as the name-brand product. For example, a 1.75L bottle of Kirkland Signature French Vodka sells for $19.99 and is made in the same warehouse asGrey Goose Vodka which sells for $47.99 bottle. Select varieties of Kirkland Signature Coffee are actually roasted by Starbucks Coffee Company. 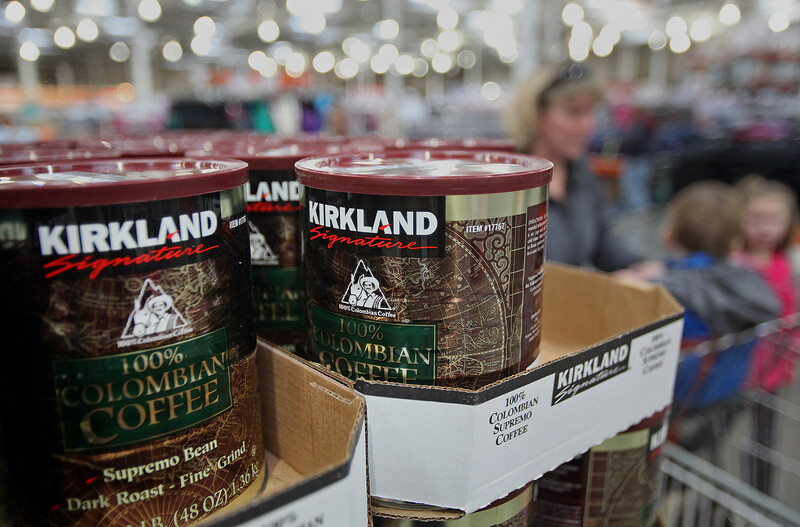 A 3 lb can of Kirkland Signature House Coffee sells for $10.99 (23¢/oz) whereas a 2.5 lb bag of Starbucks Coffee is $20.99 (52¢/oz)! 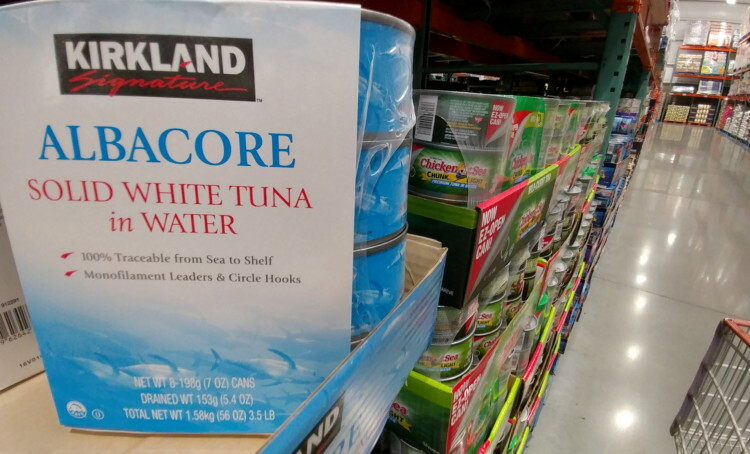 Kirkland Signature White Albacore Tuna is supplied by Bumble Bee Foods and sells for approximately 25¢ per ounce whereas a 5oz cans of Bumble Bee Solid White Albacore Canned Tuna sell for $1.59 per can (32¢ per ounce) at Target. All of the Kirkland Signature Super Premium and Kirkland Signature Nature’s Domain Pet Foods are made by Diamond Pet Foods in four company-owned manufacturing facilities in the United States. 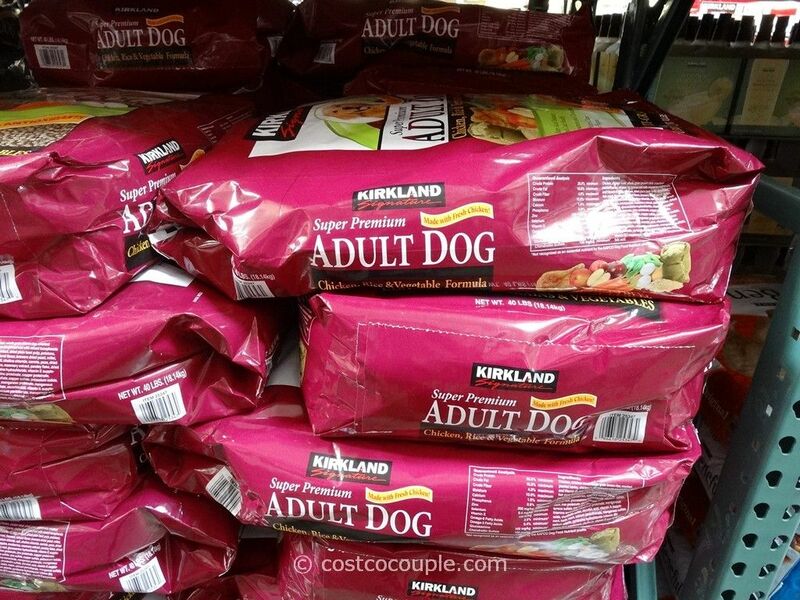 A 35-pound bag of Kirkland Signature Nature’s Domain Grain-Free Dog Food sells for $39.99 at Costco ($1.14/lb) whereas a 28lb bag of Diamond Naturals Grain-Free Dog Food sells for around $39.99 at Specialty Pet Stores ($1.43/lb). Kirkland Signature Diapers are made from Kimberly Clark, same as Huggies! 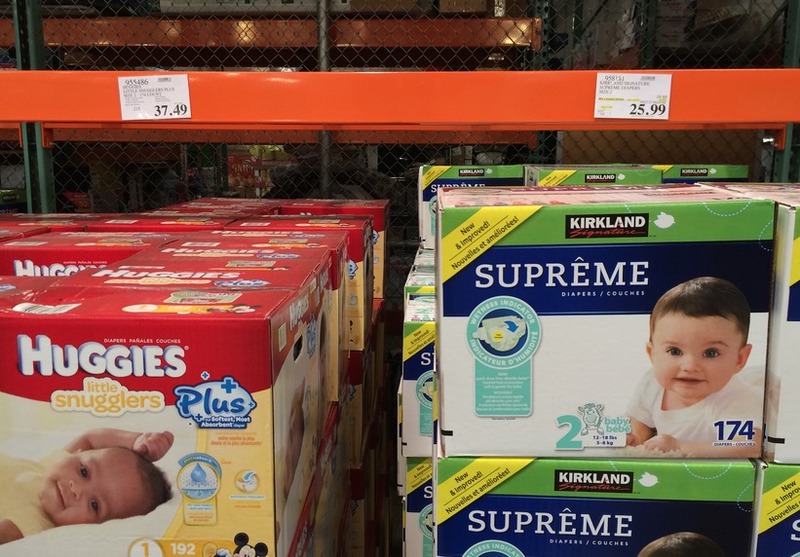 Starting at $29.99, diapers are $0.16 each at Costco or approximately $0.22 each for Huggies brand. The good thing is that Kirkland Diapers are ALWAYS on sale. 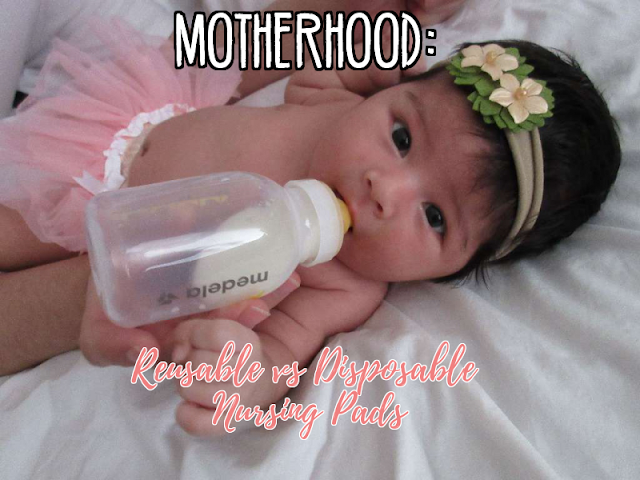 Rumor has it, Similac infant formula and its Kirkland Signature sister are secretly the same product. Kirkland Signature Infant Formula w/ Iron is $49.99 for 102 oz ($0.49/oz) or Similac Pro-Advance HMO Infant Formula is $69.99 for 68 oz ($1.02 oz). According to the CEO of Costco, in an interview he did with Clark Howard, the Kirkland Signature Batteries are made by Duracell. A 72-pack of Kirkland Signature AA Batteries is $20.99 (29¢ per battery) OR a 40-pack of Duracell AA Batteries sell for $16.99 (42¢ per battery). Despite the myth that generic, off-brand gasoline is weaker, it is actually just as effective as stations like Shell, Chevron or ExxonMobil as ALL fuel (including unbranded fuel!) must meet certain regulatory guidelines for for RVP, ethanol percentage, octane and more. Although gas prices will vary greatly by region, Costco always has the best price on gasoline. Be sure to check out GasBuddy.com for local pump prices in your area. Made from the same company as Humboldt Creamery, Kirkland Signature Vanilla Ice Cream is extremely creamy and has real vanilla flavor. Only $10.99 for 1 gallon or $12.99 for Humboldt. In blind taste tests, it blows Breyer’s out of the water and competes in flavor (and price) with Haagen-Dazs as well as Ben & Jerry’s. According to the UCDavis’ chemical and sensory study of olive oils, Kirkland Signature Brand is one of the best imported olive oils you can buy. Unlike other inexpensive olive oils, the Costco brand isn’t diluted with cheaper oils. 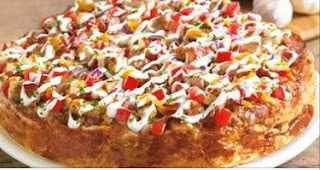 They found it demonstrates a superior quality and flavor than its other store brand counterparts. Sold for $16.99 for 2L ($0.25/oz) compared to $11.59 for 51oz Bertolli Extra Virgin Olive Oil for $17.19 ($0.38/oz). About $150 billion worth of store brands were sold in 2016. Shoppers can save $44 billion per year by choosing private label products over national brands. 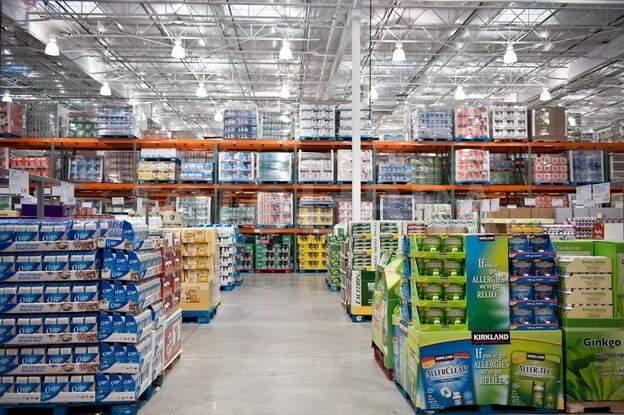 Consumer Reports places Costco’s private-label products as sixth overall in the nation. These off-brand items are not only tasty and delicious, but they have a high quality that stands up to their more expensive counterparts. 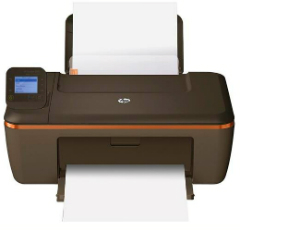 Store brands are not cheaper – they are just less expensive to market than national brands. It’s a common misconception that the generic is made from a cheaper brand. Sometimes the generic is made overseas with inferior products, but a lot of Kirkland Signature products are actually the exact same product as the name brand product.